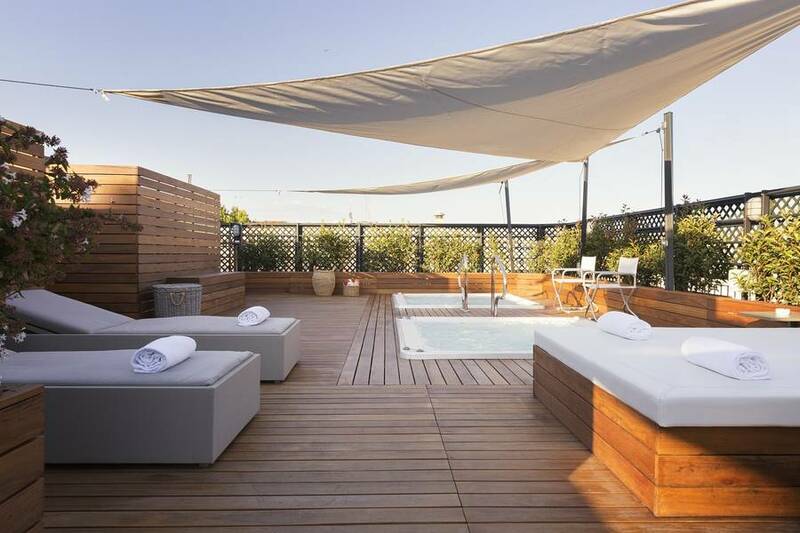 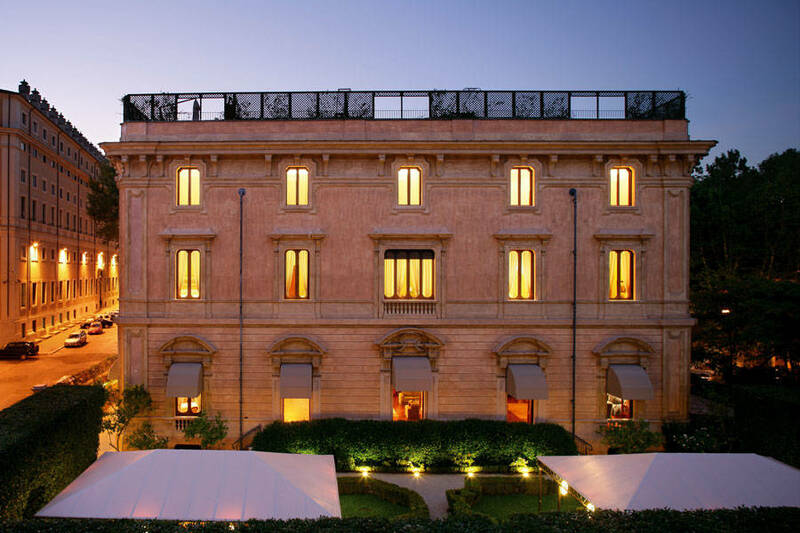 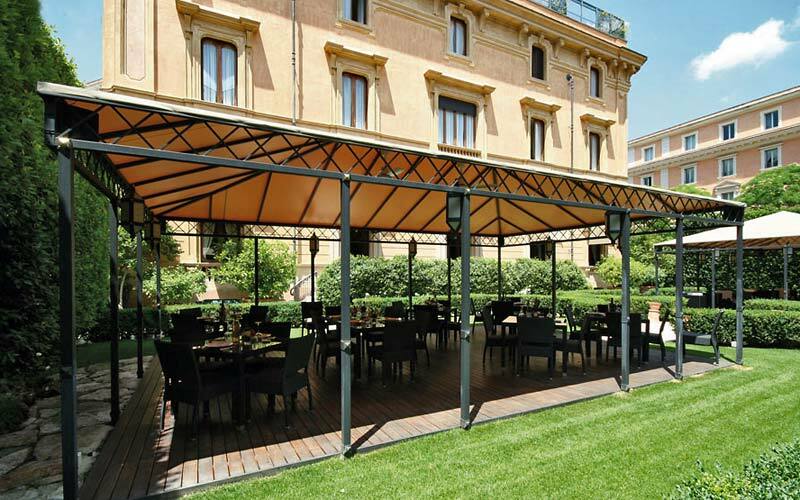 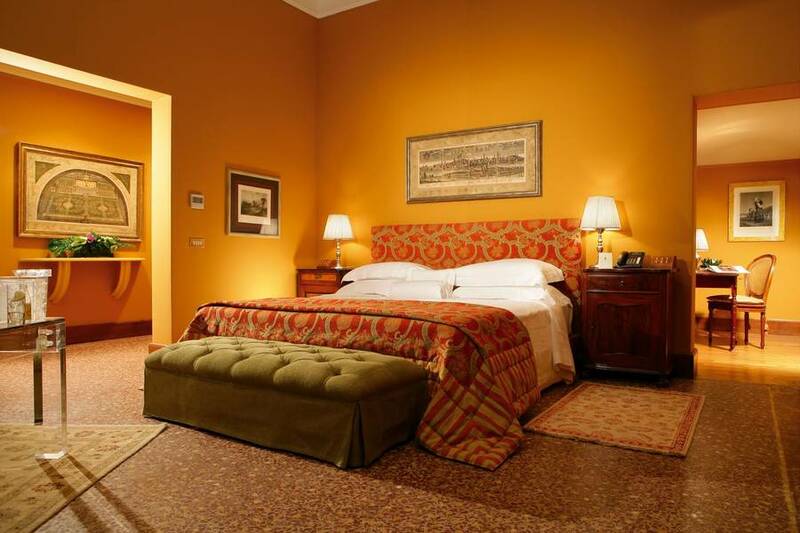 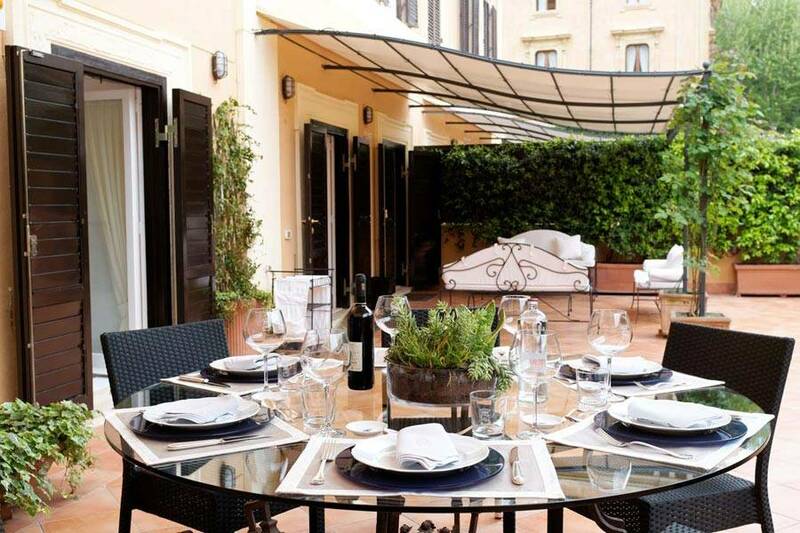 Hotel Villa Spalletti Trivelli is situated in one of the most elegant areas of Rome overlooking the gardens of the Quirinale Palace, and just a 5 minute walk away from the Italian capital's much celebrated Trevi Fountain. 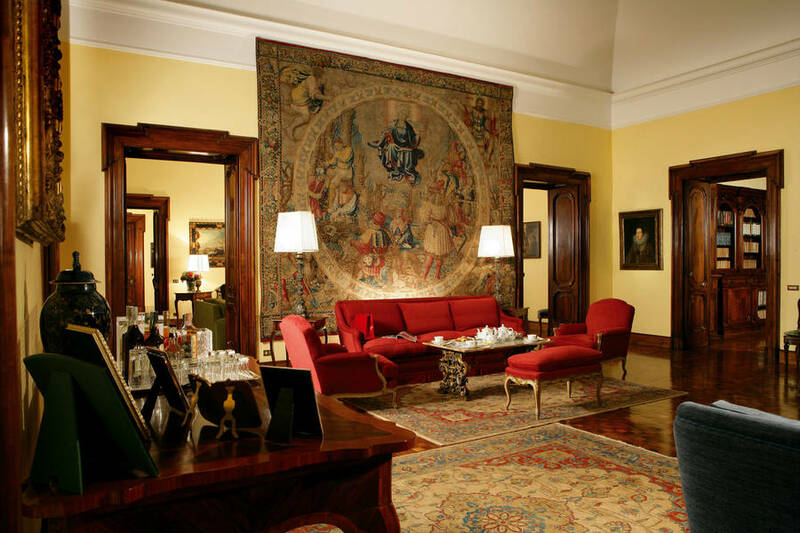 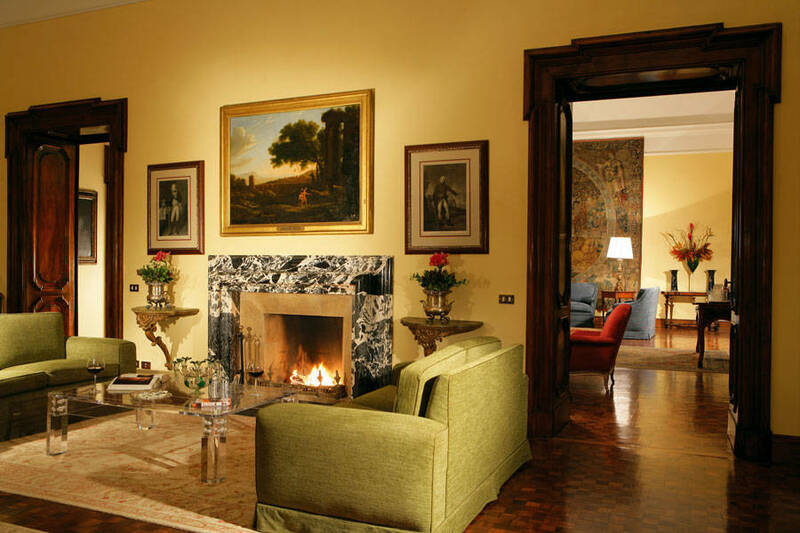 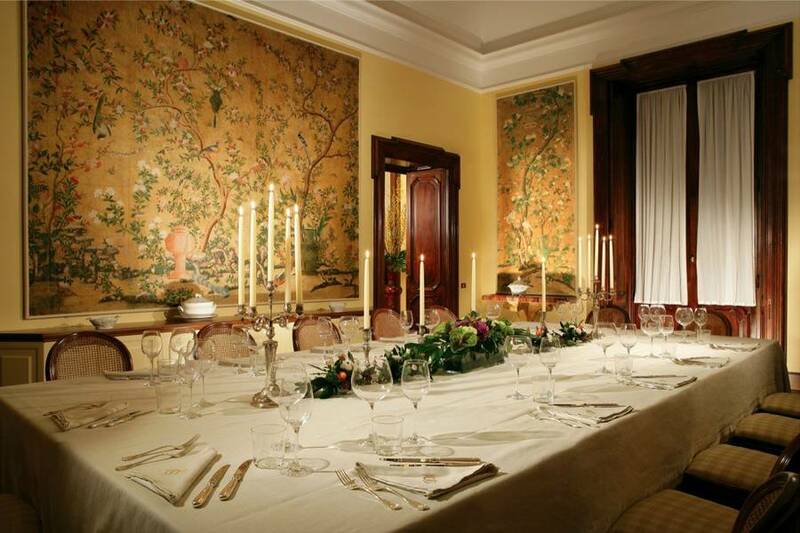 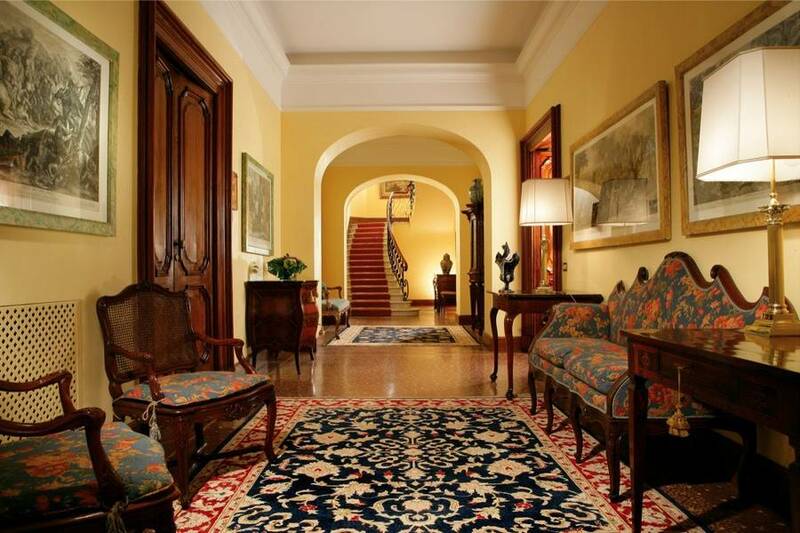 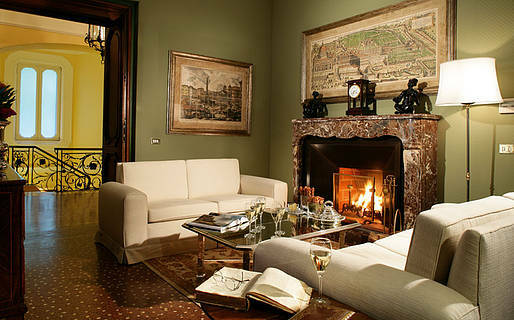 Once the residence of Italian nobility, the 20th century Villa Spalletti Trivelli maintains all its aristocratic charm, with a private Italian garden and interiors luxuriously decorated with original artworks and rare antique furnishings from the private collection of the Spalletti Trivelli family. 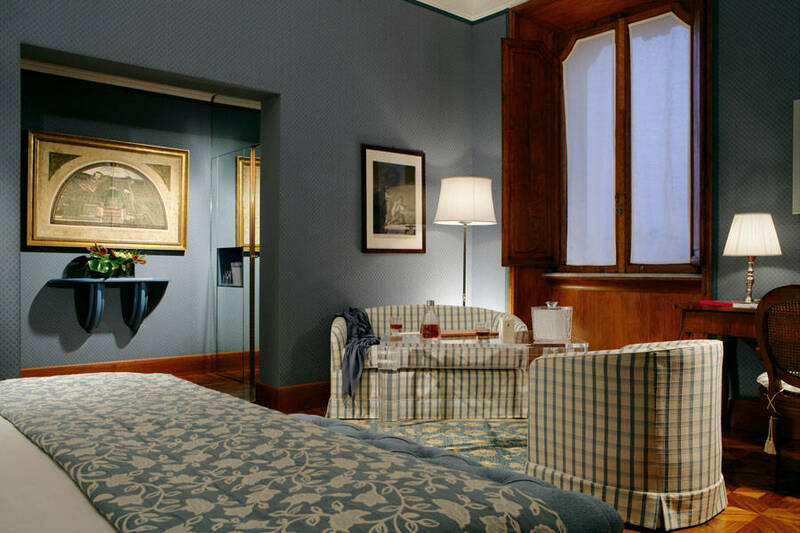 Antique drawings, portraits and fascinating old maps adorn the 12 guest bedrooms and suites of this delightfully intimate historical residence. 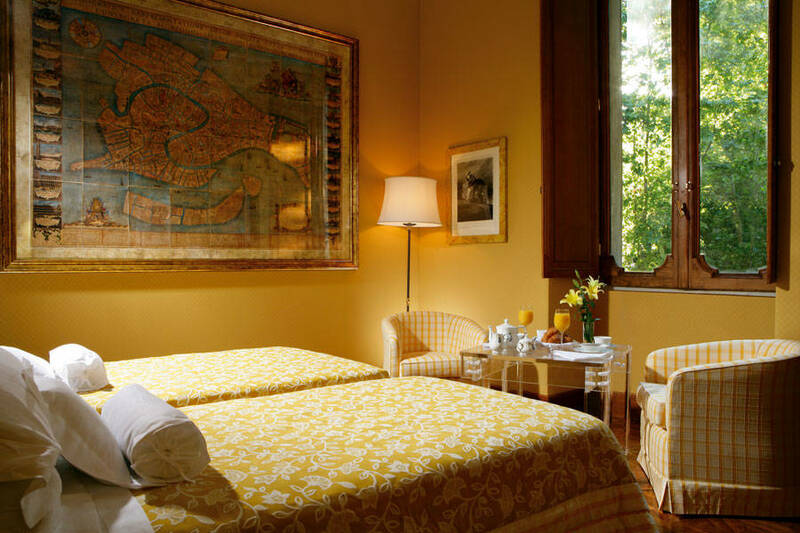 The spacious and individually appointed rooms of Villa Spalletti Trivelli offer the perfect mix of old world glamour and contemporary comfort. 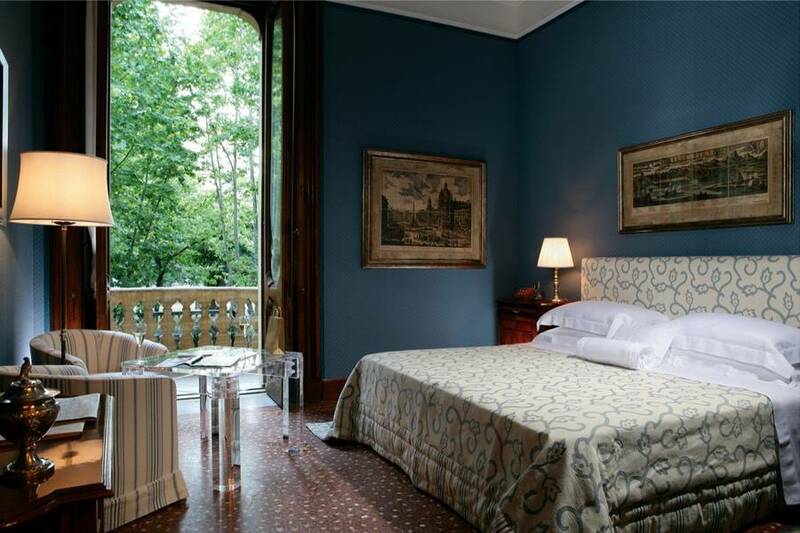 Orthopedic mattresses and cushions and embroidered Italian bed linen are standard features in all of the hotel's romantic bedrooms. 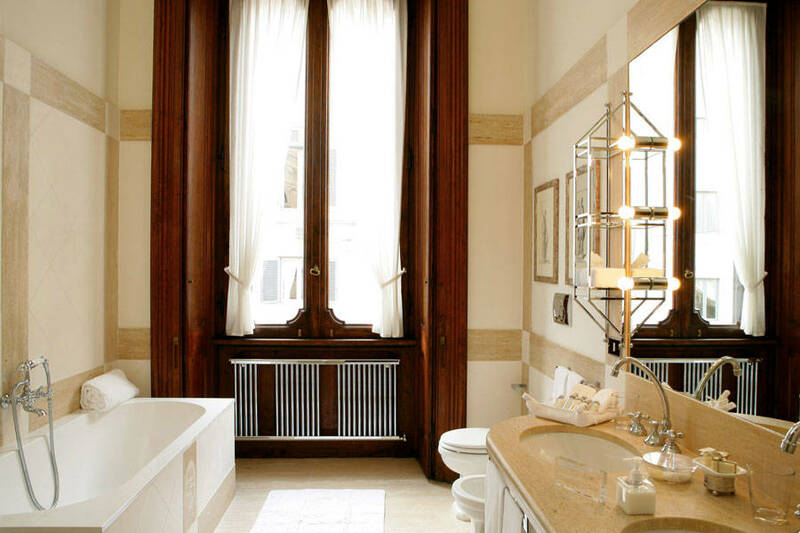 In their marble bathroom, fitted with both bathtub and oversize shower, guests find personalized bathrobes and a courtesy kit with exquisite natural beauty products. 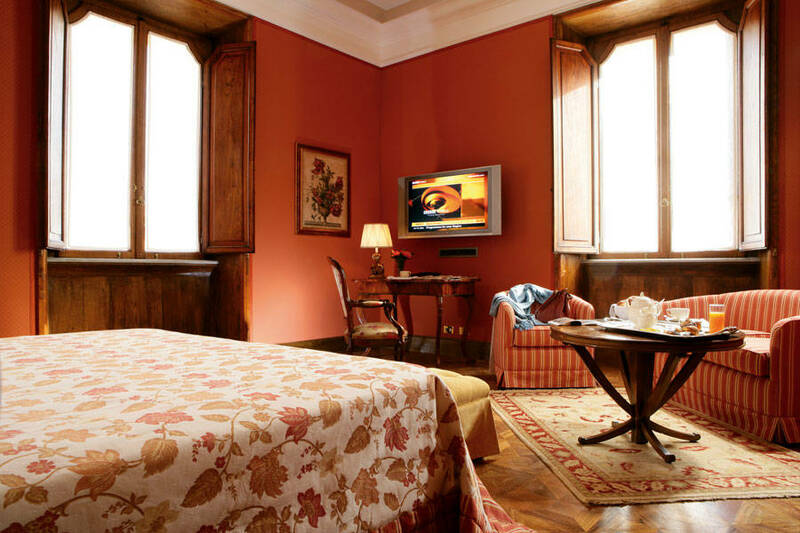 Rooms are equipped with 42 inch plasma screen television and high speed internet connection. 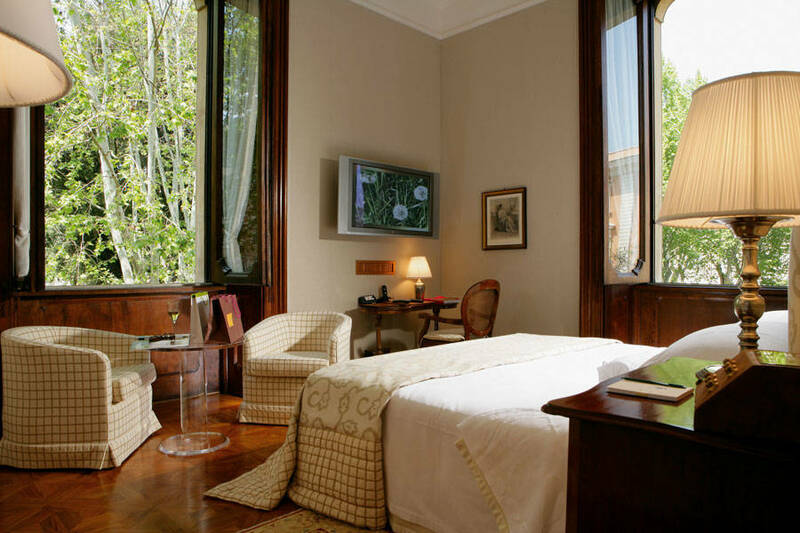 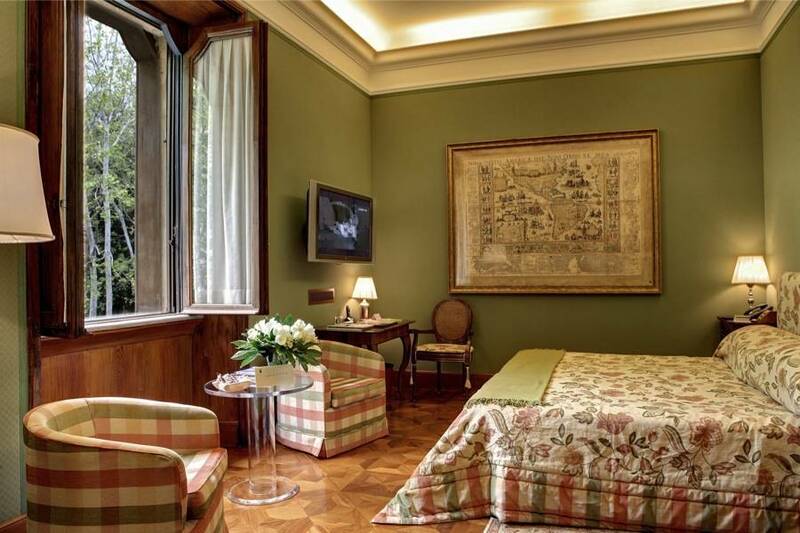 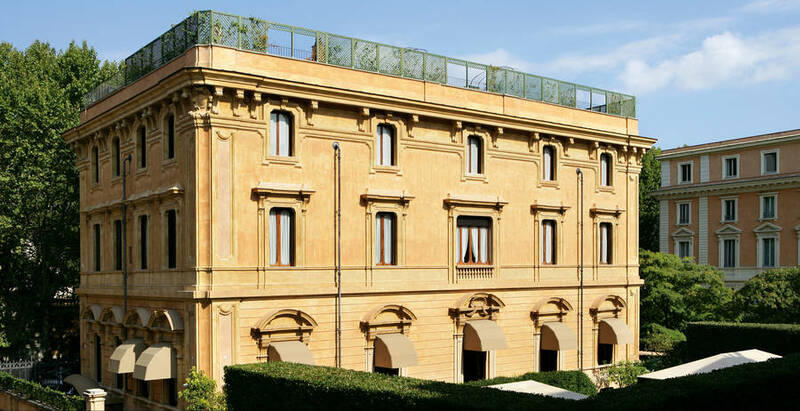 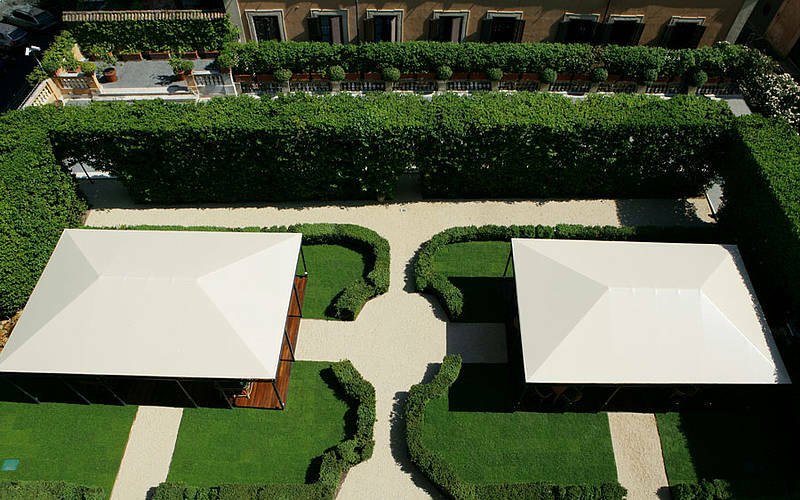 The hotel's large windows offer charming views of Villa Spalletti Trivelli's Italian garden which, in summer months, serves as secluded al fresco drawing room. 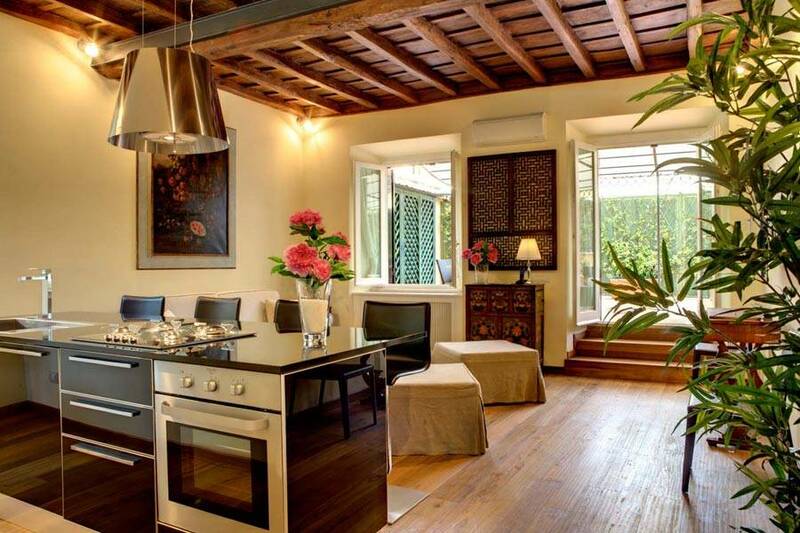 A splendid buffet breakfast, accompanied by the finest Italian coffee, is served in what was once the dining room of the villa. 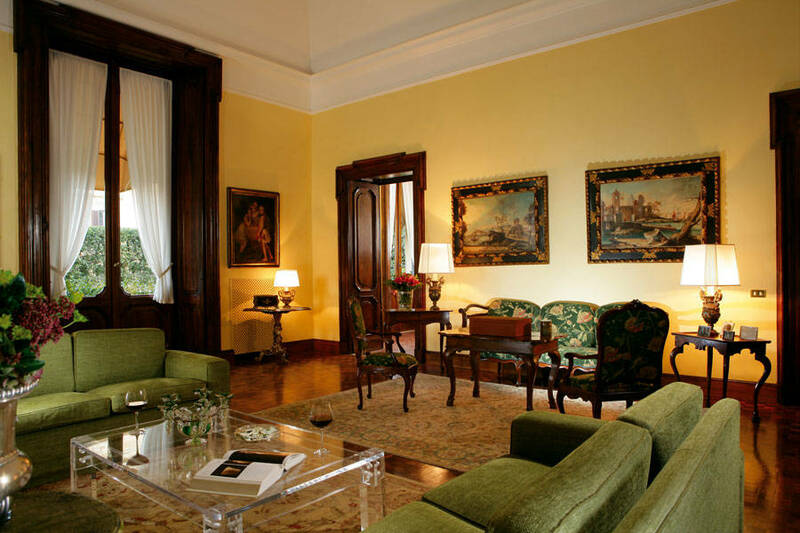 The hotel's Sala degli Arrazzi drawing room, is the perfect place in which to relax whilst enjoying a drink from the well stocked honesty bar. 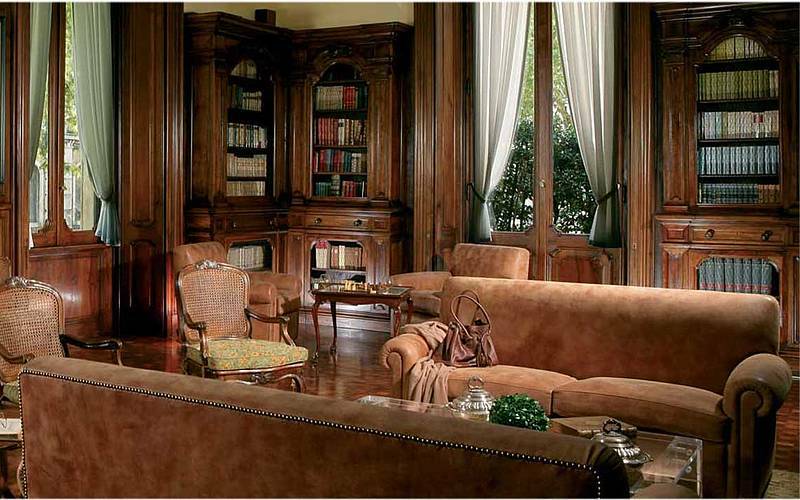 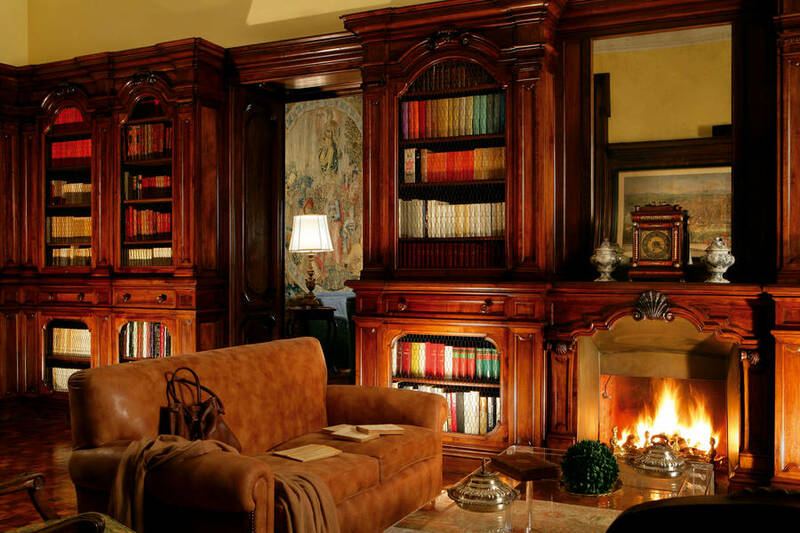 Count Spalletti Trivelli's original book collection, under the tutelage of the Ministry of Cultural Heritage, is conserved in the villa's beautiful wood paneled library, a room which now also serves as one of Rome's most exclusive meeting venues, sought out for its elegance and privacy. 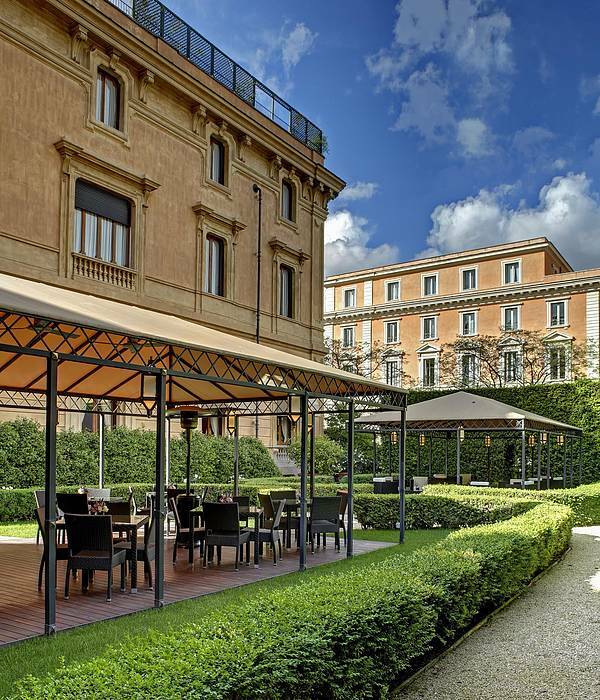 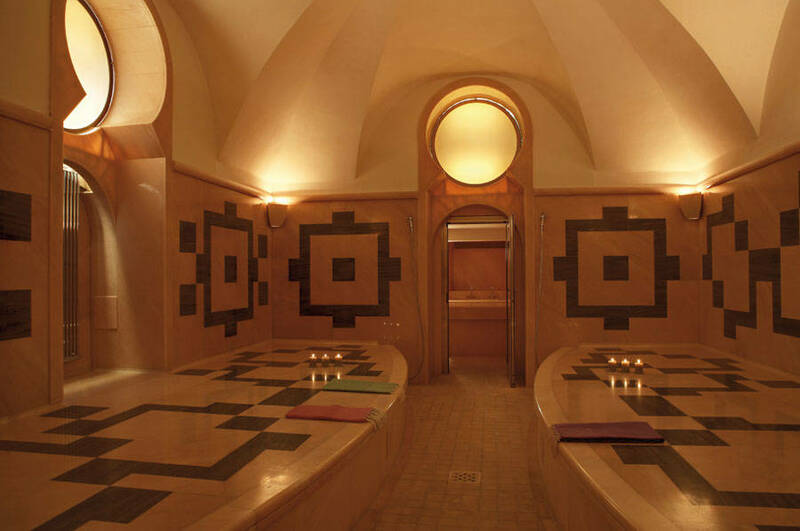 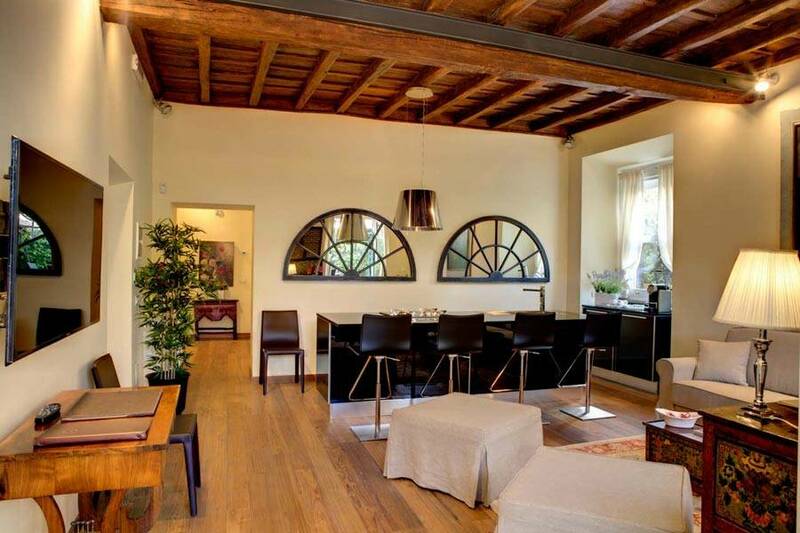 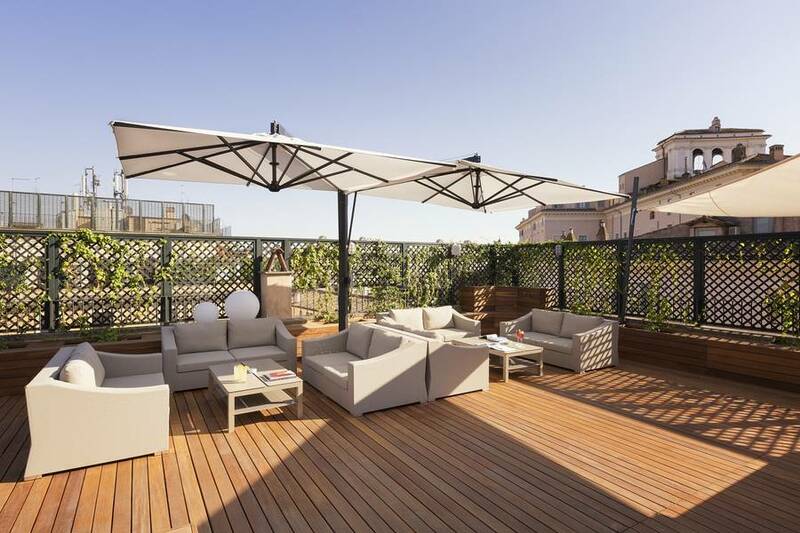 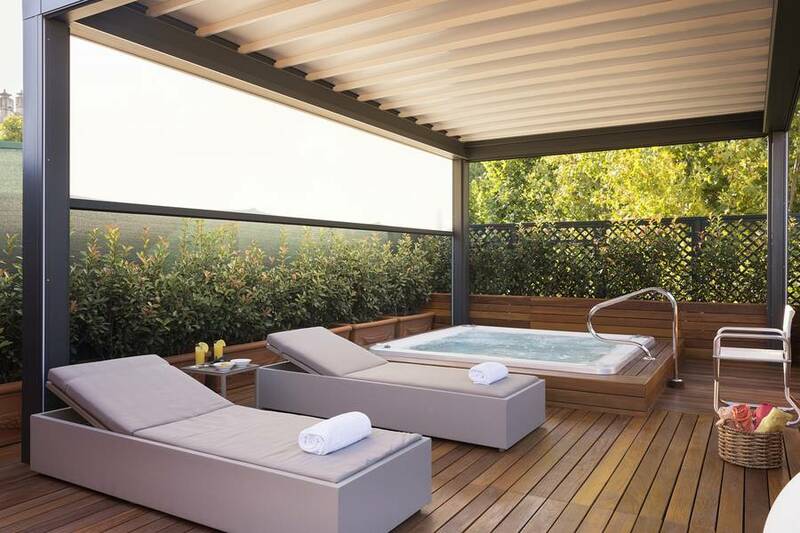 This historic residence in central Rome also offers an elegant fitness and wellness facility, equipped with gym and bio-sauna. 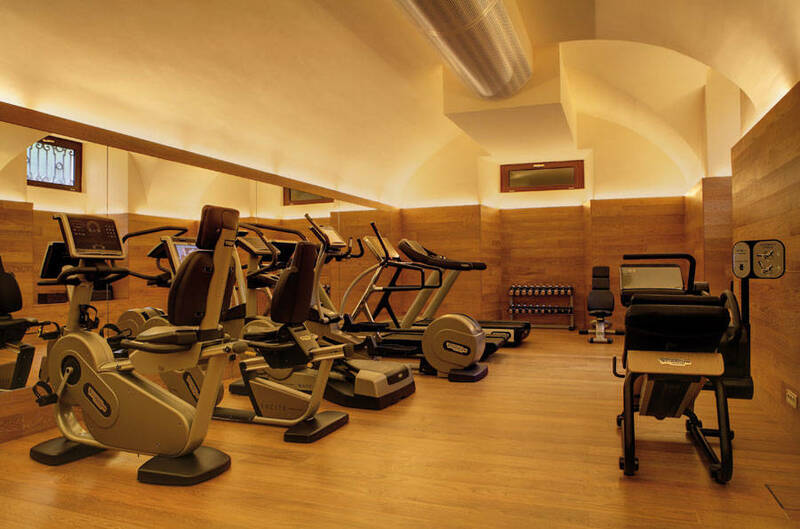 Sessions with a personal trainer are available upon request, as are personalized beauty and relaxation treatments. 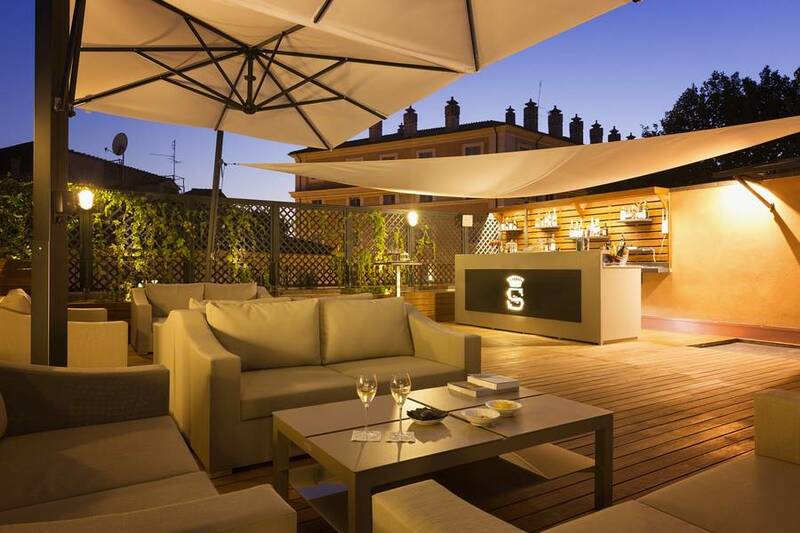 The rooftop terrace at Hotel Villa Spalletti Trivelli was recently renovated, and is now a stunning furnished sun deck, with comfortable outdoor sofas and lounge chairs, a bar, and 3 hot tubs where you can relax looking over the rooftops of Italy's capital city, with soft music playing in the background. 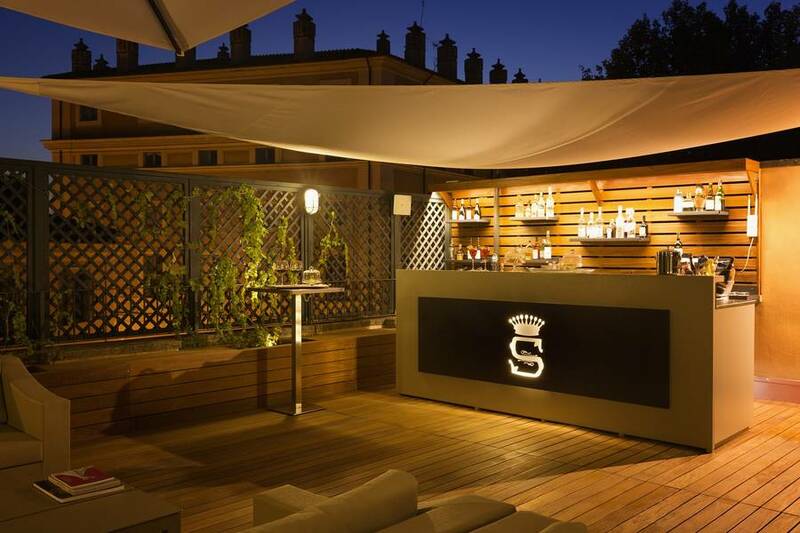 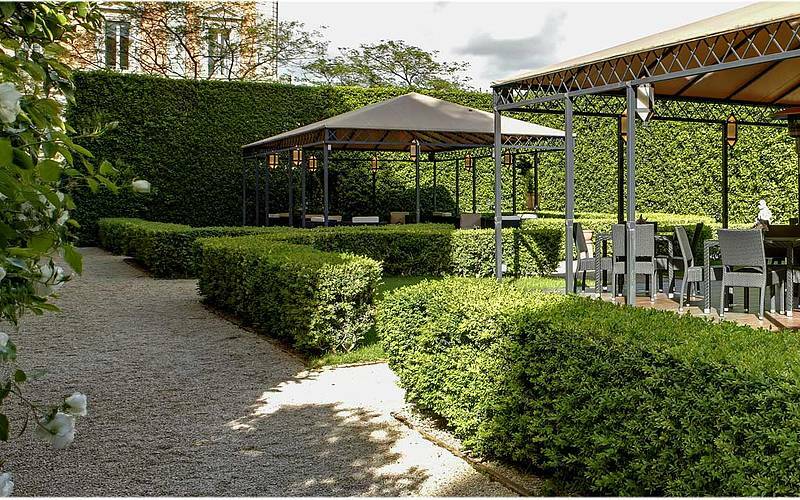 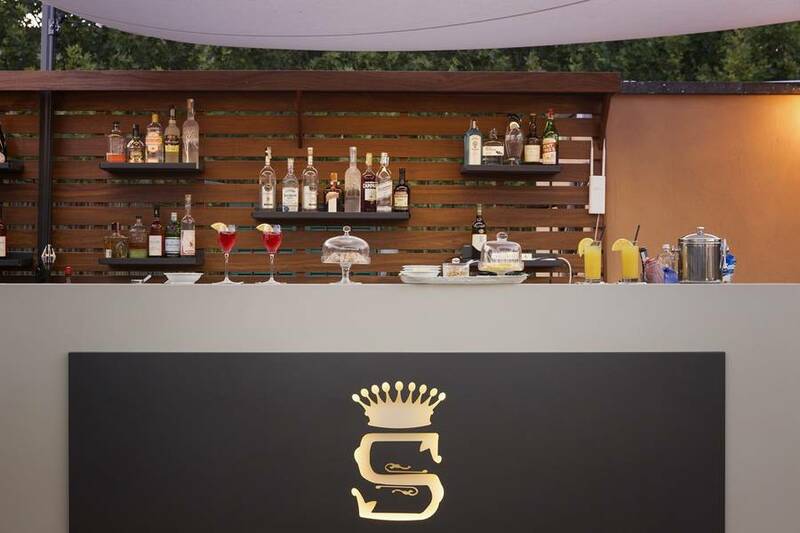 The rooftop terrace can accommodate up to 60 guests and is available for private functions. 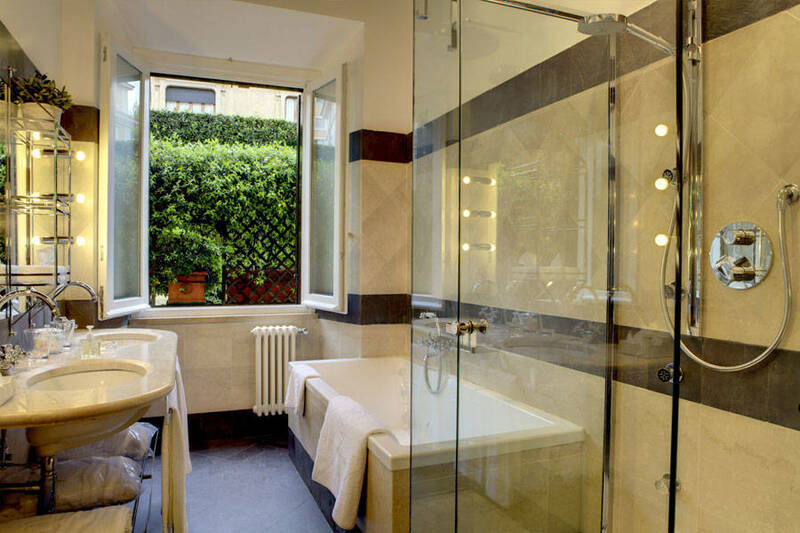 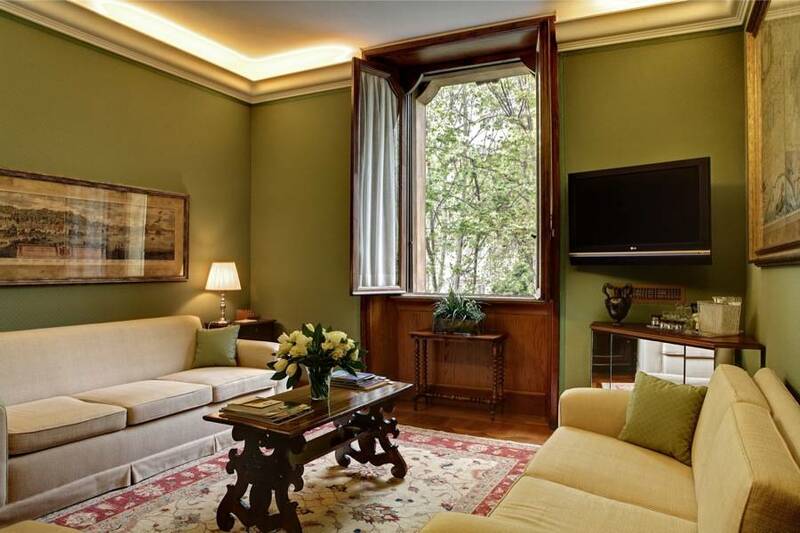 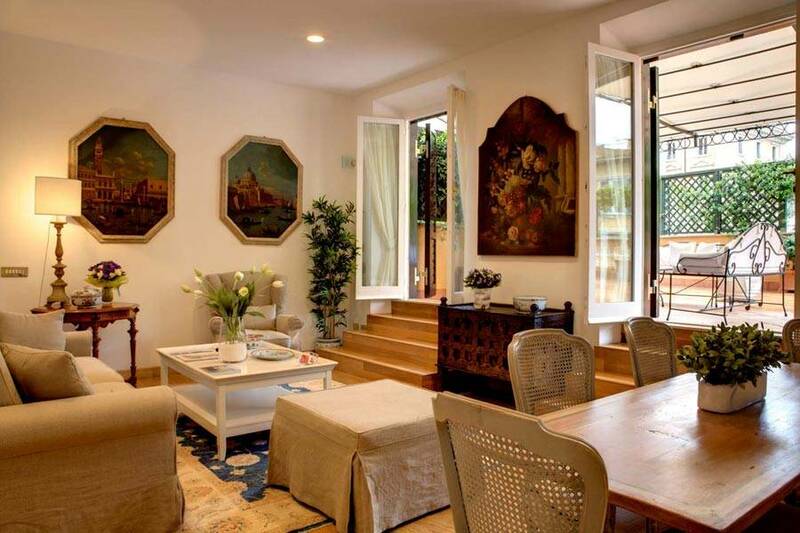 In the heart of Rome, in the elegant district home to all the highest state offices and consulates, Hotel Villa Spalletti Trivelli is located within meters of the Piazza del Quirinale, and just a few minutes away from the Trevi Fountain, the Pantheon, and the Coliseum.